Hi there, how are you treating life? 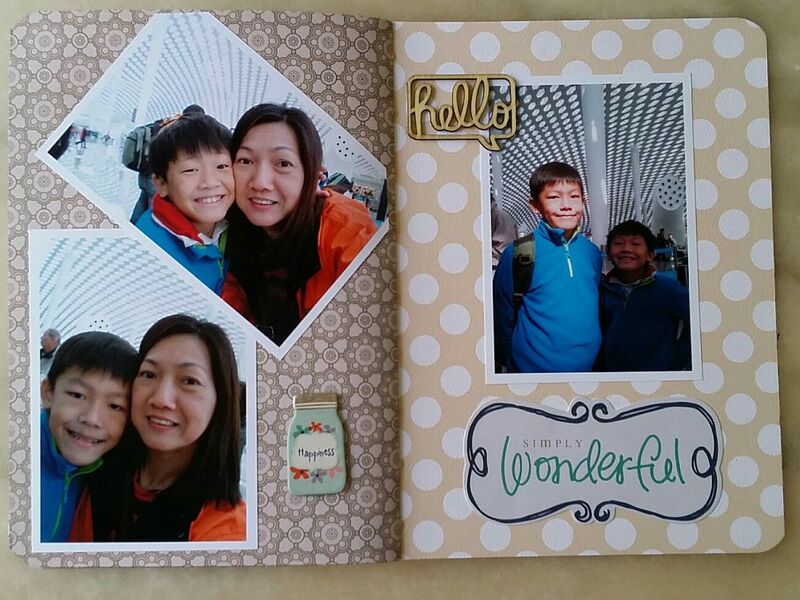 It has been such a long time that I haven’t been making scrapbook page.. since last November 2014!! 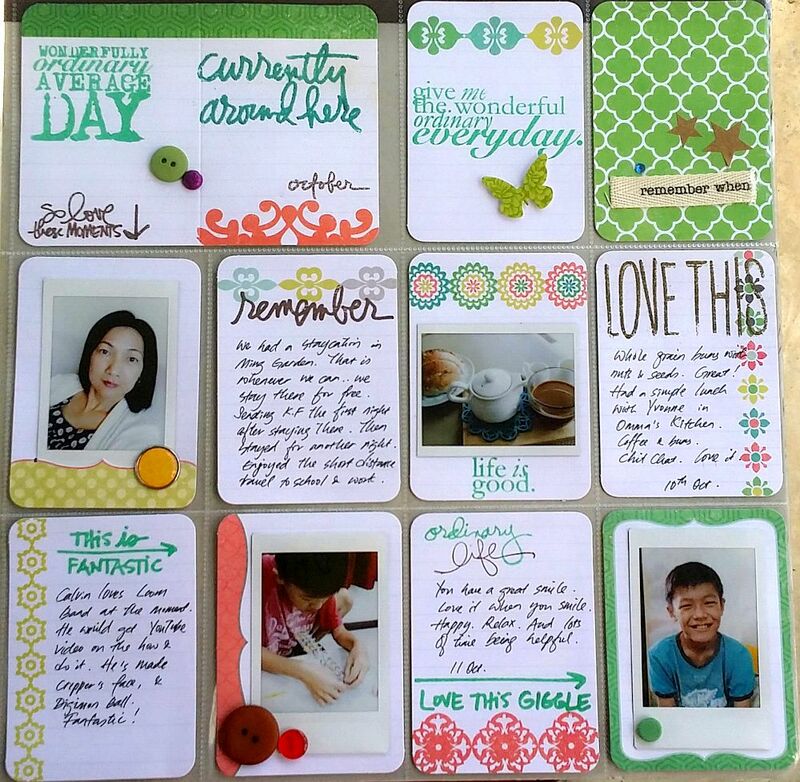 The whole 8 months without putting down any photos on a single scrapbook page! Where have I been!? 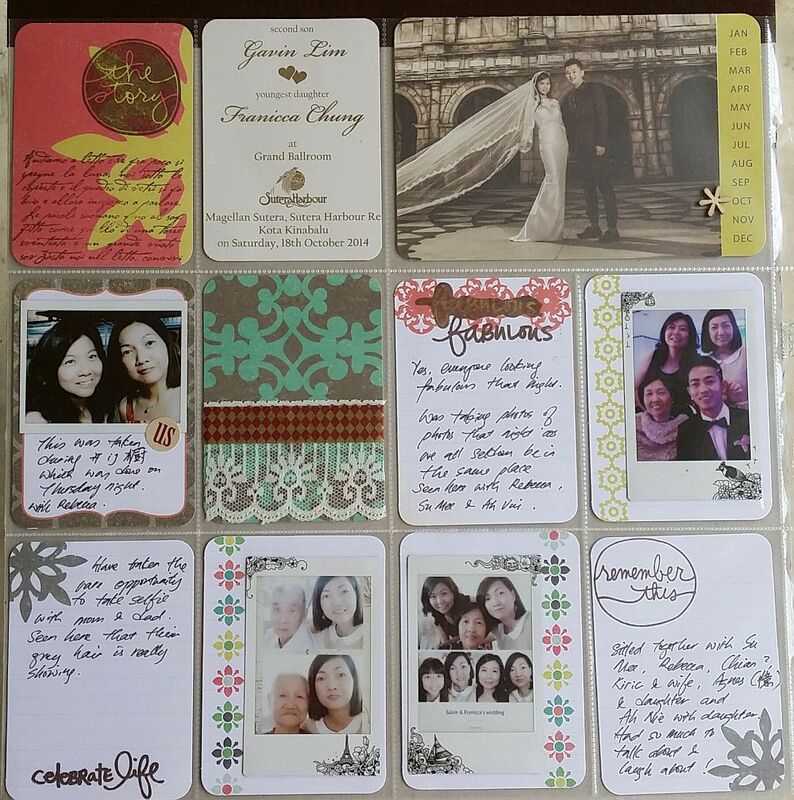 This is so not me.. not being able to create scrapbook page and recording life story.. However, I’ve tried to keep myself updated with Ali Edwards’ page and story stamp though they are starting to gather dust. Thanks to the special occassion on 5th August that made me wanna create again. Unfortunately I haven’t managed to come up with a birthday page for Calvin, instead, I’ve created the page above. One that recorded down that happy moment that I had with my niece having lunch together. Which could soon be a rare moment, as she might just move on to another place in the near future. For good. 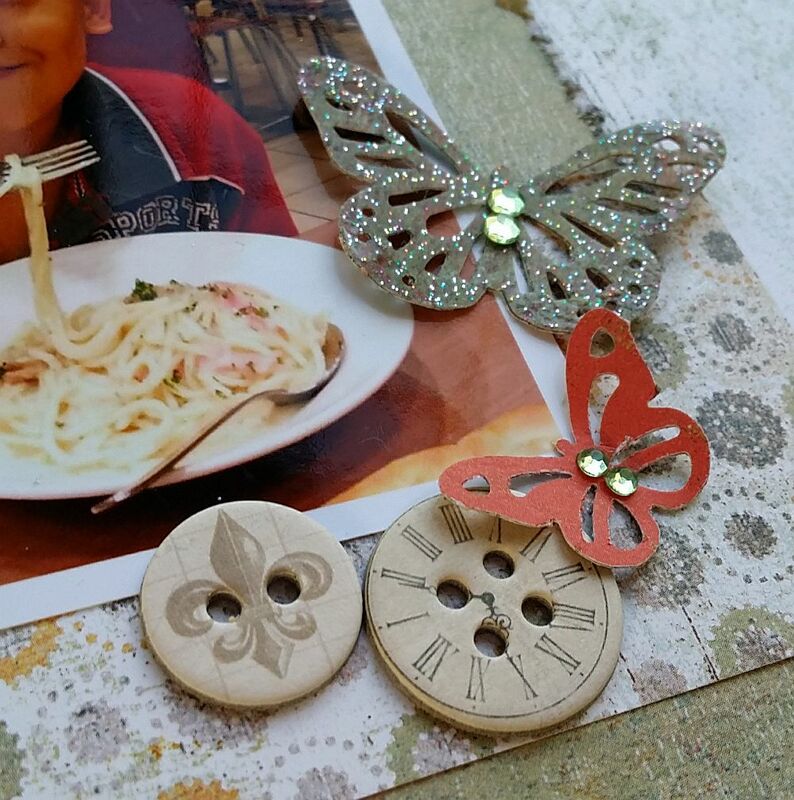 Here are some details of the page, which you’ll be able to see one of Ali’s story stamp – “little moments”, “life is good” circle stamp and that little love mug.. they are just so adorable. I’ve added on some tags, rub-on and Prima flower too. I’m looking forward to a great week ahead, one that I hope I’ll not dwell on the passed and worried about what’s going to happen. I hope you too, have a great week ahead. “Love life and life will love you back” – author unknown. 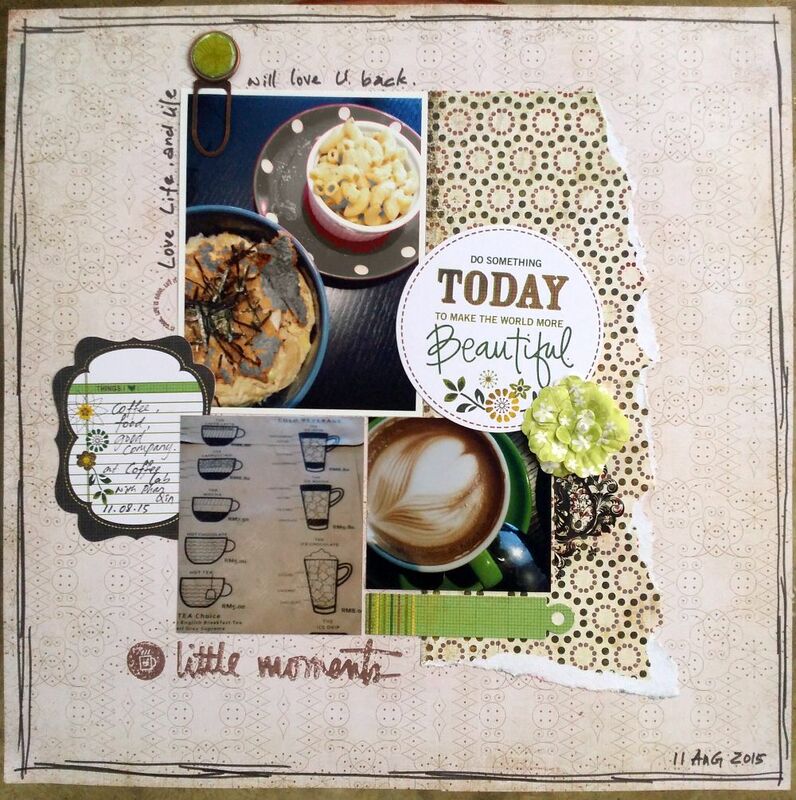 Finally I did a scrapbook page instead of the usual Project Life style. 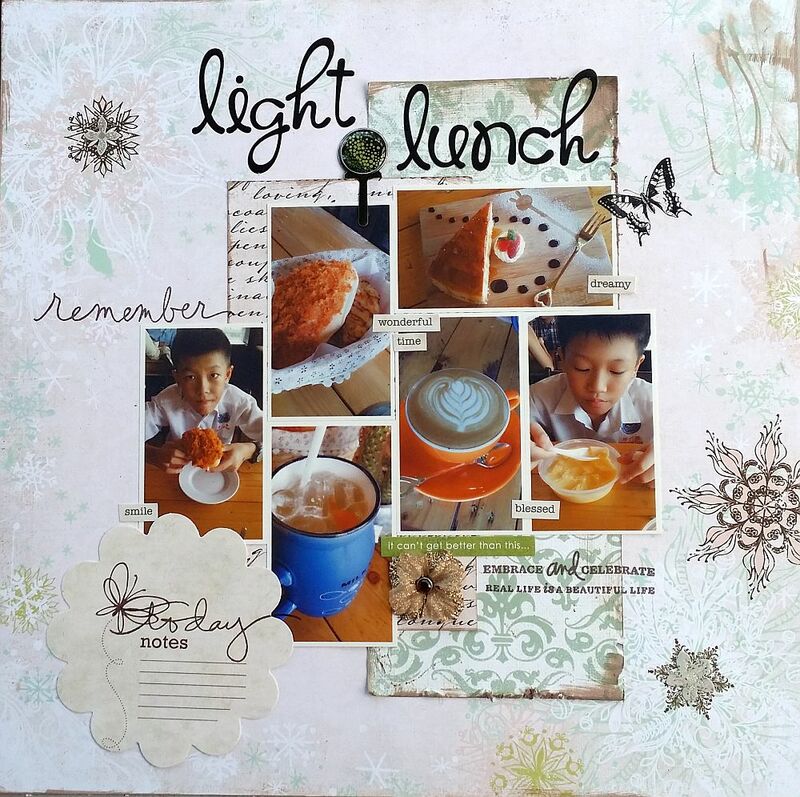 This time I finished a page about the light lunch that I had recently with my two boys. 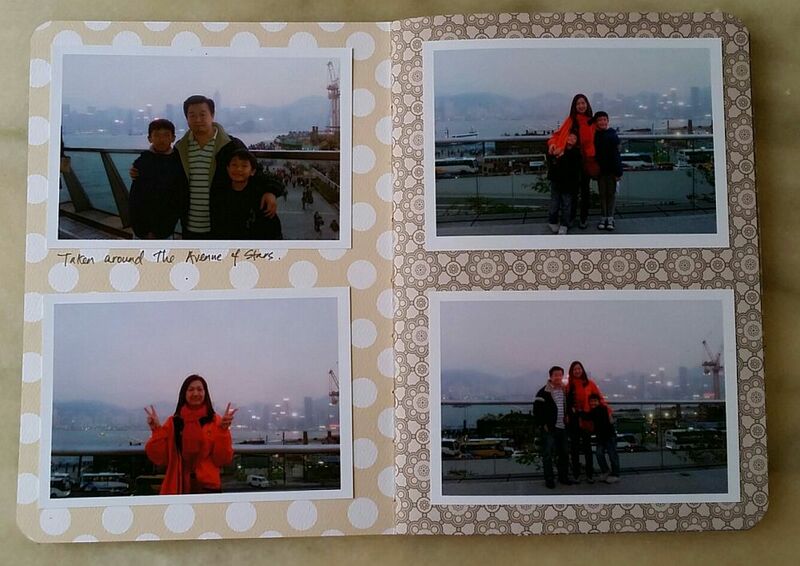 And also the first time I printed my own photos at home! Yay! And I’m loving it. Though not so satisfy with the color. It turns out to be a bit “old” looking.. anyway, I’m going to do that more, and next time maybe I should enhance the color before I print. I find that I like distressed look and really really wanted to add flowers into the page even though it is a boy’s page, anyway, who says there is such a rule?? 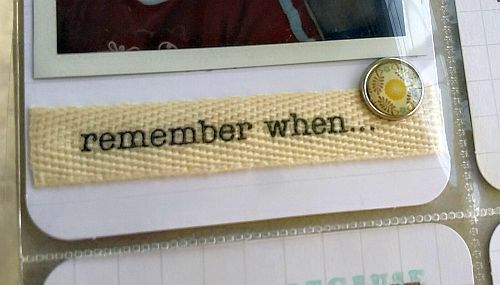 Oh ya.. and I still love those words stamps set from Ali Edwards. They are just so versatile and good reminder on how to look at life itself. At the moment, I’m restraining myself in buying more scrapbook pattern paper or kit that I saw online, ya, they are just so attractive and each and everyone of them are calling my name! Such a hard resistance to have. So far what I’ve bought (ya.. I still have bought!) 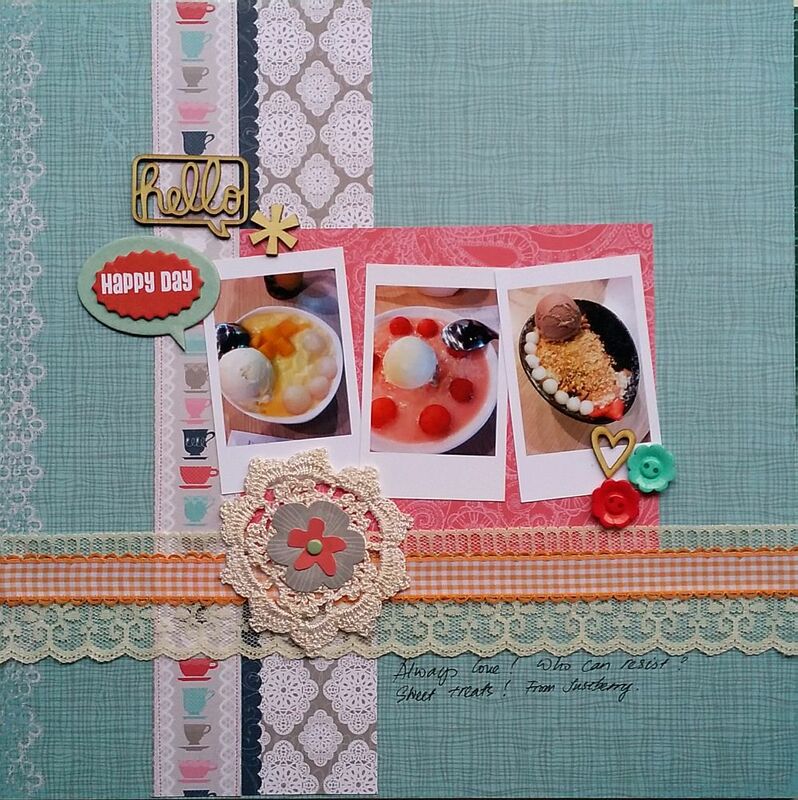 is the Prima golden flowers (that can be seen in the page) and Project life mini cards, plus a mini snap album for the December Daily project. 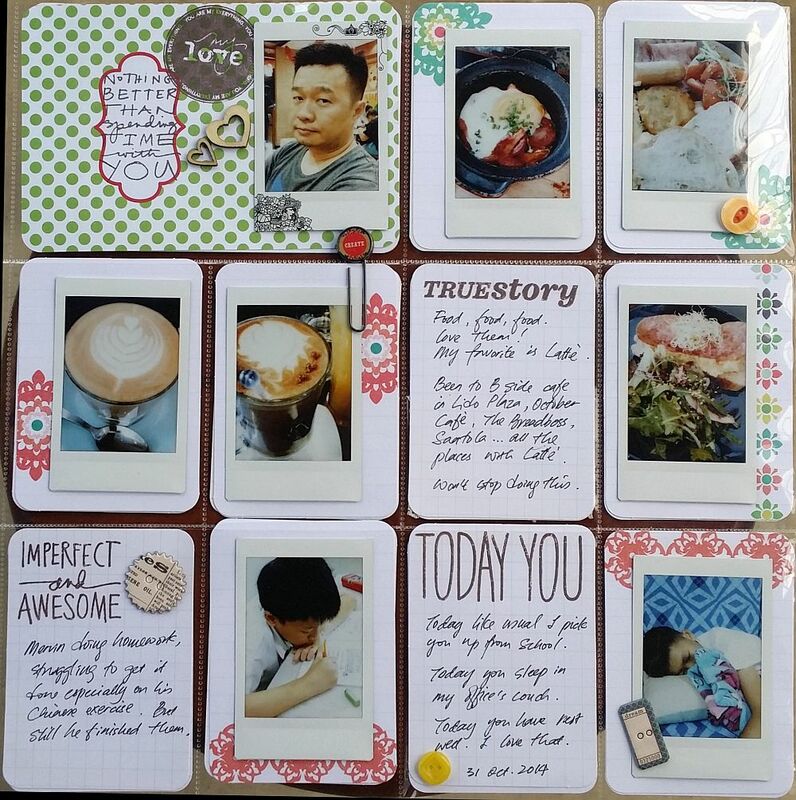 Have you tried out using Instax share to print your photo? They are just so cute! I still love doing that. Second page is a page to remember our annual dinner, starting from preparation to the dinner itself. Lots of selfies here. ha! I hope these pages would give you some push in doing your own scrapbook pages to record down the meaning behind all those photos that you’ve taken. 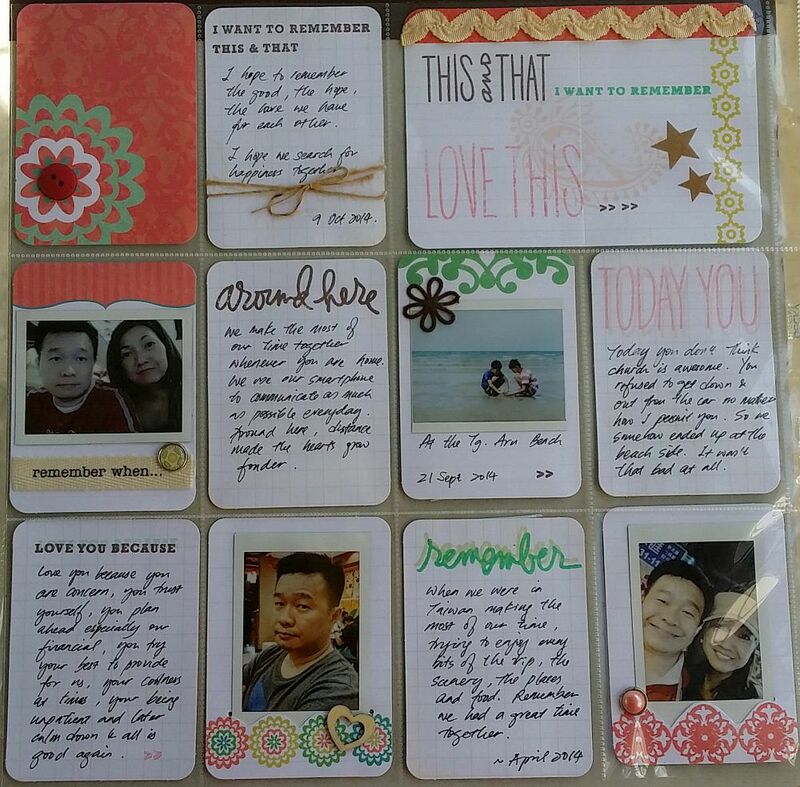 I know I do needed this ‘cos it really is a very good way to put them down in printed format and jot down the memories that I wanted to keep. It is also a good way in telling your kids how much you care and how they were doing. 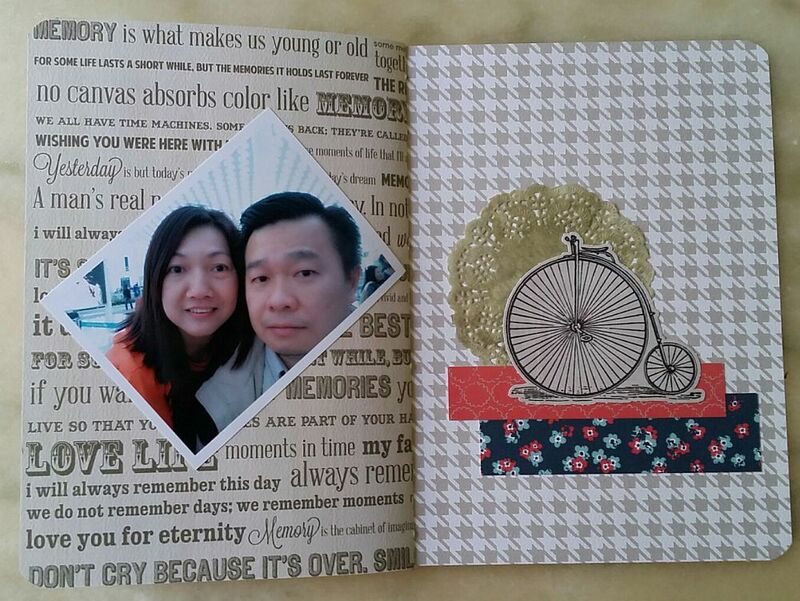 Hi hi, it has been such a long time that I didn’t do any scrapbook pages. And ever since I’ve bought the Instax Share Printer, I go ga-ga about it and started printing small pictures of everyday events, so I’ve started my Project life scrapbook layout again, but this time I’m not restricting myself to document each and everyday but instead I just document things, people or events that I wanted to remember. 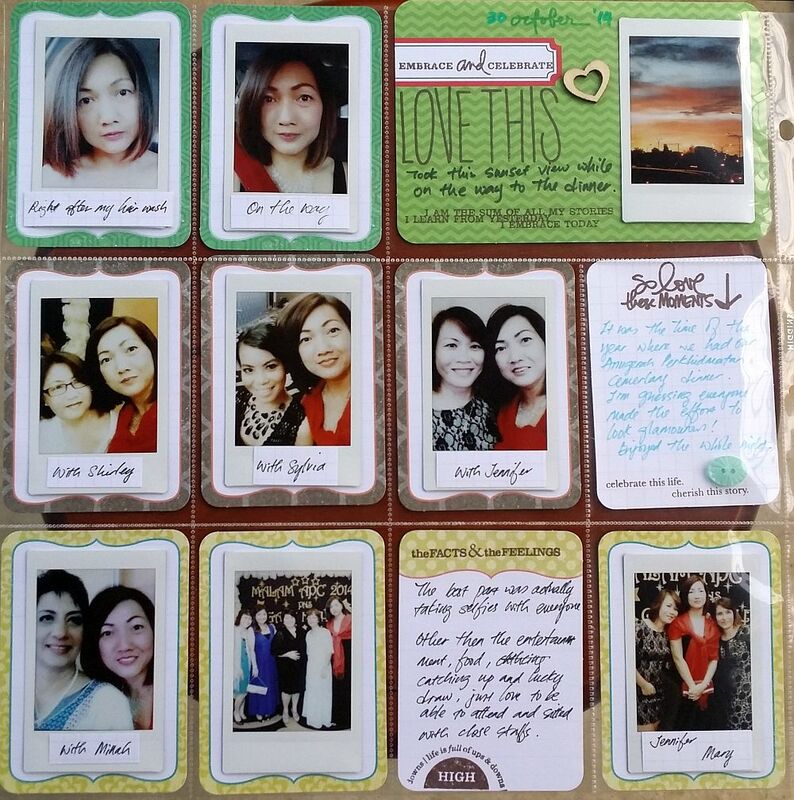 So, recently I came up with these few pages on photos that I’ve taken and since I’ve subscribed with Ali Edwards monthly Story Stamp, I’ve got my first stamp – “Prompts”. A good way to get me started with my story, prompts that work and prompts that got me thinking. Overall, it is such fun to document my life. Well, not such an interesting one but hey, it is MY LIFE and MY STORY, there could never be another person sharing this same story with mine. Well, that’s it so far, hope you’ve enjoyed it. 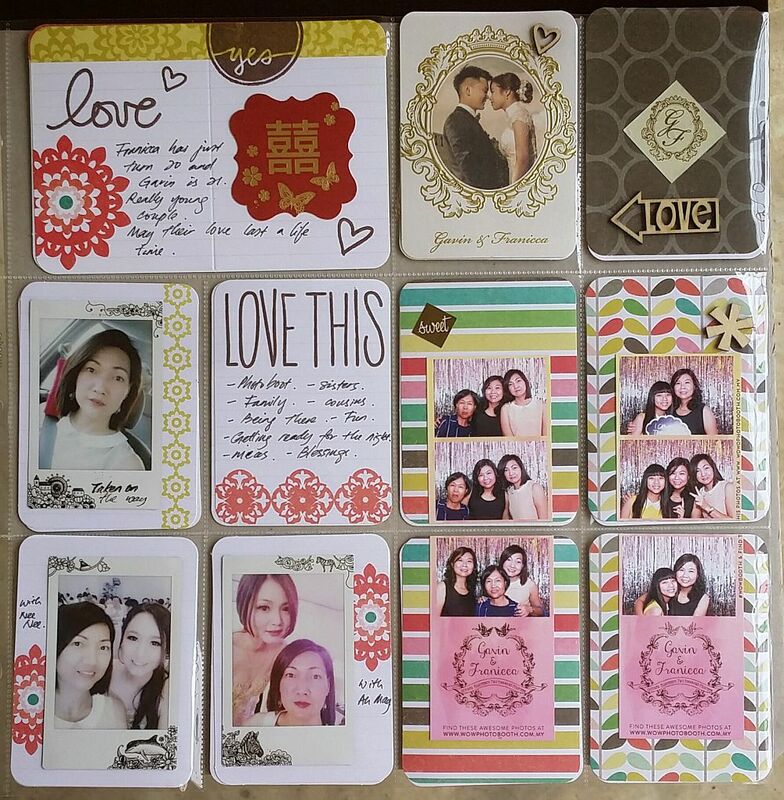 Hopefully I’m going to play with my Instax Share again and do more layout soon. I’m in the middle of waiting for Ali’s 2nd stamp set – Get Real. Weee!!! It is Friday!!! TGIF.. well.. actually today is nothing different from other days, but still I’m happy for those who are in the office. Your weekend will official start pretty soon!! I’ve actually been trying to make a page that have that old grunge vintage look. I love both the clean look of the previous layout and this one that I’m going to share today. 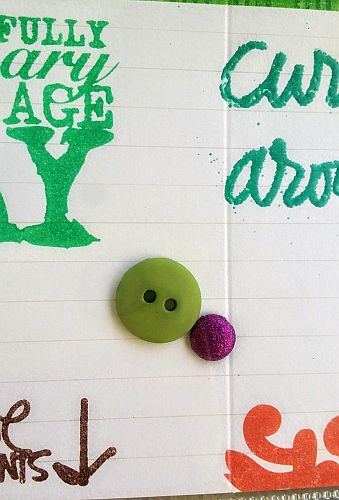 Sometimes I feel like I wanted to jam up the page with stuff, swirls, buttons, doilies, glittering stamp ink, embossing, and the old look of paper. Thus, this page came out after seeing those happy photos of my kiddos smiling at the camera while enjoying their food. Love that feelings whenever I see them being happy. 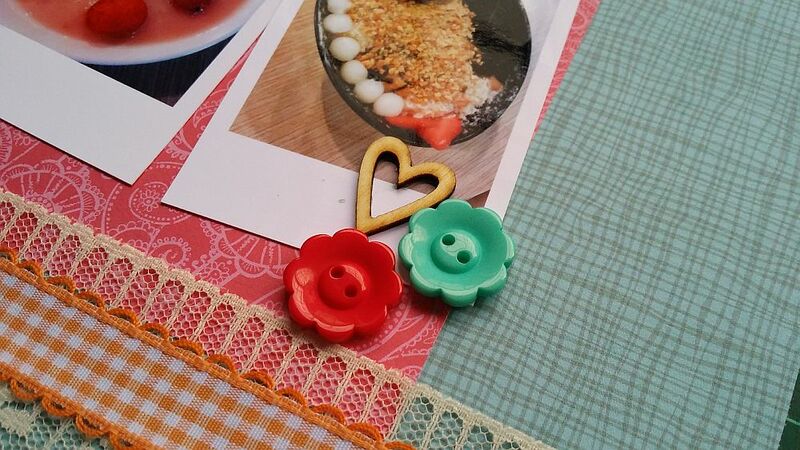 Here are some closer look on the embellishment.. 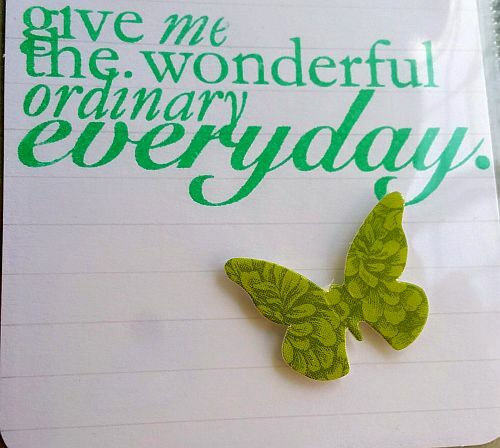 Always love Ali Edwards word stamp. 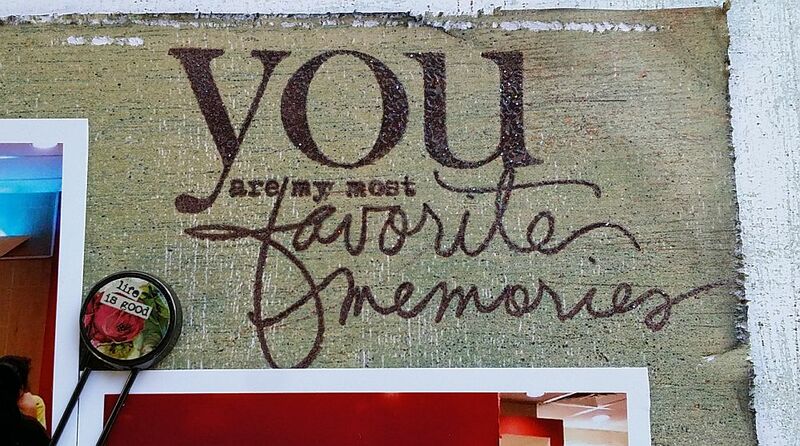 They are a good reminder of the daily life, cherishing one another present, the love we share, the present moment and the positive thoughts that I should always be reminded of. I’m using Basic Grey patterned papers, Prima pearl swirl, Martha Stewart’s butterfly punch, Kaiser Craft rhinestones, Melody Ross glass paperclips and Ali Edwards word stamps. 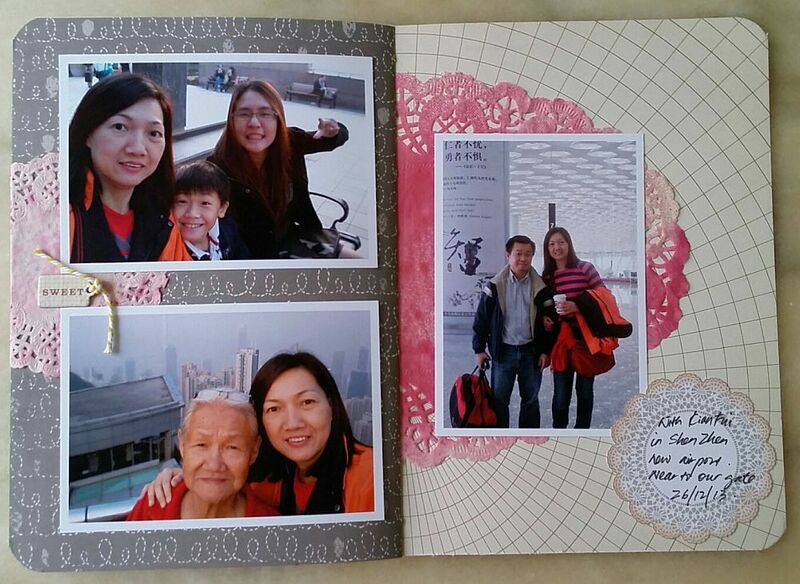 Hope to create a mini album for my recent Taiwan trip.. It has been really hot these days.. the temperature shoot up to 35 degree Celcius! Fortunately rain came yesterday and it seems to cool down the earth a little bit.. It just made me appreciate the rain more.. Since it was hot hot hot.. a bowl of icy dessert really serve the day. So I did have it. But this time, I didn’t take any photo, instead I search back the old photos that I’ve taken previously in the same store – Justberrys – and make a layout from it. Who can resist sweet dessert in a hot day huh!? 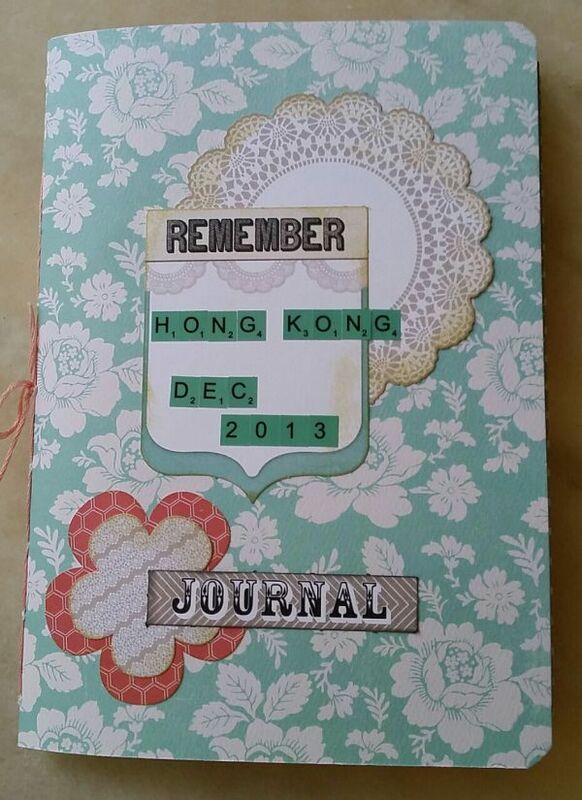 Paper I used are mainly from Little Yellow bicycle and stuff from here and there including My Creative Scrappers kit. 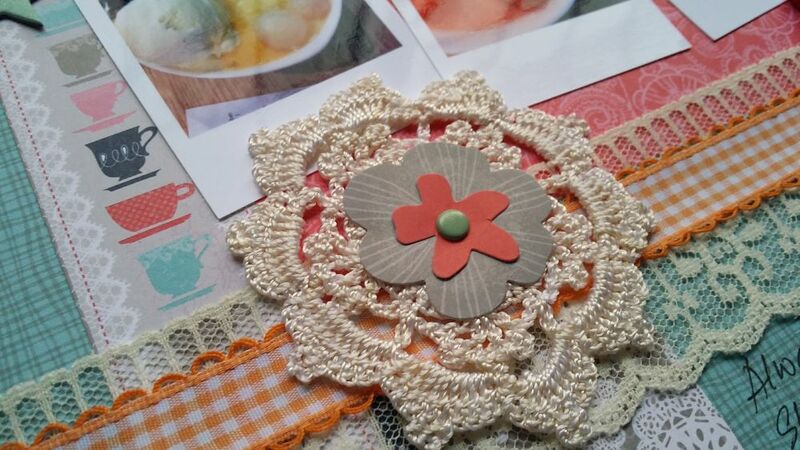 Haven’t been sharing about craft for such along time since my blog was down. 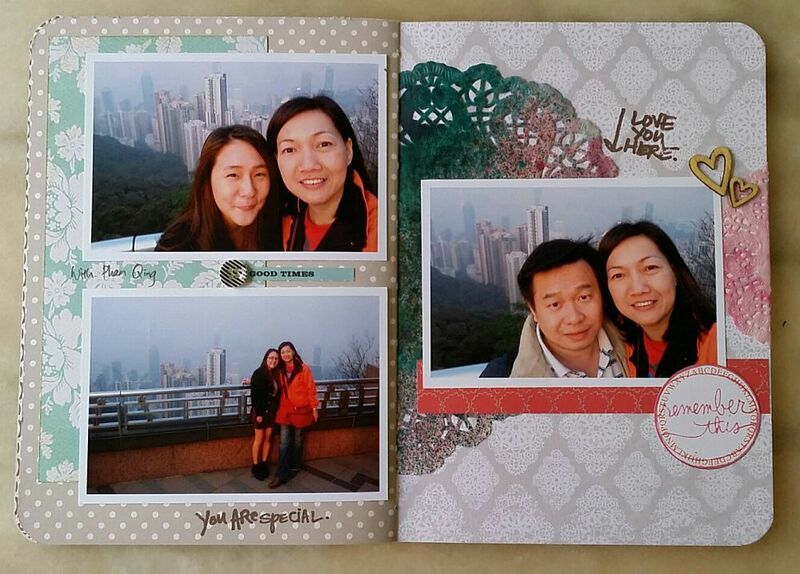 Actually I haven’t been doing much on the scrapbook part. But hey, here is one that I’ve done recently concerning my last trip to Hong Kong end of last year. 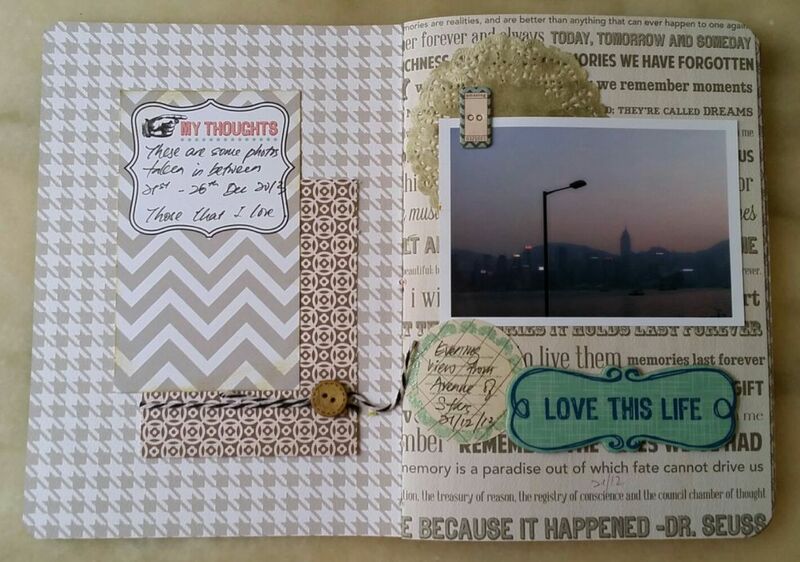 There isn’t many photos that I’ve included in this journal type scrap pages. I’ve only included those that I love over that few days. It was quick and fun using some misted doiles, chipboard sticker, pieces of papers from here and there. Most importantly, my main point is to display photos that I like, with a simple records on where, who, what and when. There isn’t much journaling in there. I just wanted to get myself started back on with my scrapbook. Have got an exciting news to share with you all. 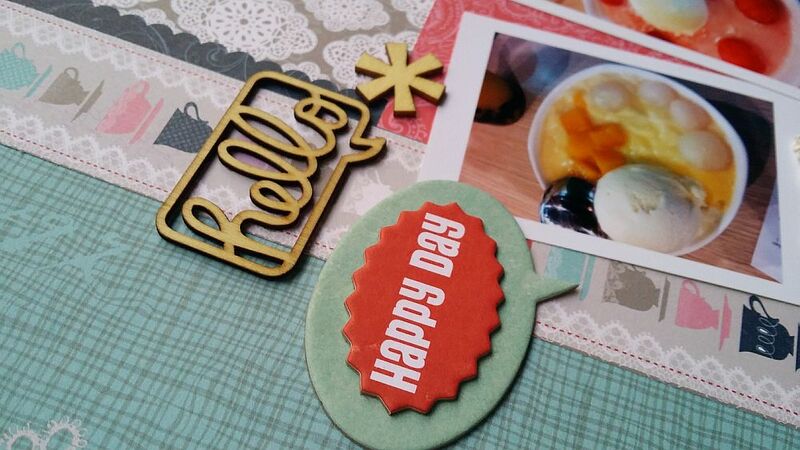 I am one of the Design Team in Scrap-it-lah!!!! Yippie!! I’m sure I’m going to have lots of fun! What more I’ll working with a team of really talented ladies! A new challenge will be up pretty soon, so do check back here agian. Happy weekend!!! And I’m going to have a long weekend! We are going to have two days holiday next week to celebrate the Harvest Festival for Kadazandusun people. Hopefully I’ll catch up with my sleep and crafting.